If you’re a chocaholic, then you might want to stop reading this article right now. 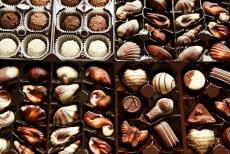 A new blog post written by NHS Choices criticizes an American study that suggested dark chocolate could improve sight. In the University of the Incarnate Word’s initial study, scientists took a group of 30 healthy participants and gave them a milk chocolate bar and then a 72 percent cacao dark chocolate bar at a later date.On both occasions, doctors tested participants’ vision in normal and low light settings immediately after they ate the chocolate bars. When they reviewed their data, study authors found that the vision scores were stronger after participants ate dark chocolate. They hypothesized that this finding had to do with dark chocolate’s ability to boost blood flow to the retinae. In their critique of this study, NHS Choices said the number of patients involved in this report was too small to make any definite correlations between dark chocolate and increased visual health. NHS Choices also points out that researchers did not test dark chocolate’s long-term effects on study participants’ eyes. While dark chocolate may have many other health benefits, NHS Choices notes that there are many other foods people would be better off eating if they wanted to improve eye health. Faculty at the University of the Incarnate Word have yet to respond to the NHS’s critique. For those who were wondering, a few foods that have been proven to have positive effects on eye health include wild-caught Alaskan salmon, carrots, spinach, and lemons. People who are interested in reading the NHS Choices’s rebuttal should check out this website.